"GE" redirects here. For other uses, see GE (disambiguation). Not to be confused with the former British company General Electric Company, or the musical project General Elektriks. General Electric Company (GE) is an American multinational conglomerate incorporated in New York and headquartered in Boston. As of 2018[update], the company operates through the following segments: aviation, healthcare, power, renewable energy, digital industry, additive manufacturing, venture capital and finance, lighting, and oil and gas. In 2018, GE ranked among the Fortune 500 as the 18th-largest firm in the U.S. by gross revenue. In 2011, GE ranked among the Fortune 20 as the 14th-most profitable company but has since very severely underperformed the market (by about 75%) as its profitability collapsed. Two employees of GE—Irving Langmuir (1932) and Ivar Giaever (1973)—have been awarded the Nobel Prize. During 1889, Thomas Edison had business interests in many electricity-related companies including Edison Lamp Company, a lamp manufacturer in East Newark, New Jersey; Edison Machine Works, a manufacturer of dynamos and large electric motors in Schenectady, New York; Bergmann & Company, a manufacturer of electric lighting fixtures, sockets, and other electric lighting devices; and Edison Electric Light Company, the patent-holding company and the financial arm backed by J.P. Morgan and the Vanderbilt family for Edison's lighting experiments. 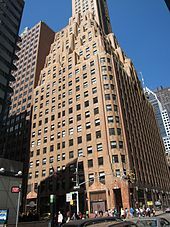 In 1889, Drexel, Morgan & Co., a company founded by J.P. Morgan and Anthony J. Drexel, financed Edison's research and helped merge those companies under one corporation to form Edison General Electric Company, which was incorporated in New York on April 24, 1889. The new company also acquired Sprague Electric Railway & Motor Company in the same year. In 1880, Gerald Waldo Hart formed the American Electric Company of New Britain, Connecticut, which merged a few years later with Thomson-Houston Electric Company, led by Charles Coffin. In 1887, Hart left to become superintendent of the Edison Electric Company of Kansas City, Missouri. General Electric was formed through the 1892 merger of Edison General Electric Company of Schenectady, New York, and Thomson-Houston Electric Company of Lynn, Massachusetts, with the support of Drexel, Morgan & Co. Both plants continue to operate under the GE banner to this day. The company was incorporated in New York, with the Schenectady plant used as headquarters for many years thereafter. Around the same time, General Electric's Canadian counterpart, Canadian General Electric, was formed. In 1896, General Electric was one of the original 12 companies listed on the newly formed Dow Jones Industrial Average, where it remained a part of the index for 122 years, though not continuously. In 1911, General Electric absorbed the National Electric Lamp Association (NELA) into its lighting business. GE established its lighting division headquarters at Nela Park in East Cleveland, Ohio. The lighting division has since remained in the same location. Owen D. Young, through GE, founded the Radio Corporation of America (RCA) in 1919, after purchasing the Marconi Wireless Telegraph Company of America. He aimed to expand international radio communications. 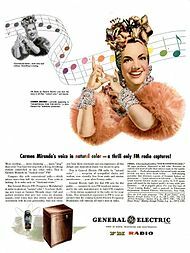 GE used RCA as its retail arm for radio sales. In 1926, RCA co-founded the National Broadcasting Company (NBC), which built two radio broadcasting networks. In 1930, General Electric was charged with antitrust violations and decided to divest itself of RCA. In 1927, Ernst Alexanderson of GE made the first demonstration of his television broadcasts at his General Electric Realty Plot home at 1132 Adams Rd, Schenectady, New York. On January 13, 1928, he made what was said to be the first broadcast to the public in the United States on GE's W2XAD: the pictures were picked up on 1.5 square inch (9.7 square centimeter) screens in the homes of four GE executives. The sound was broadcast on GE's WGY (AM). Experimental television station W2XAD evolved into station WRGB which, along with WGY and WGFM (now WRVE), was owned and operated by General Electric until 1983. Led by Sanford Alexander Moss, GE moved into the new field of aircraft turbo superchargers.GE introduced the first set of superchargers during World War I, and continued to develop them during the interwar period. Superchargers became indispensable in the years immediately prior to World War II. GE supplied 300,000 turbo superchargers for use in fighter and bomber engines. This work led the U.S. Army Air Corps to select GE to develop the nation's first jet engine during the war. This experience, in turn, made GE a natural selection to develop the Whittle W.1 jet engine that was demonstrated in the United States in 1941. GE was ranked ninth among United States corporations in the value of wartime production contracts. Although, their early work with Whittle's designs was later handed to Allison Engine Company. GE Aviation then emerged as one of the world's largest engine manufacturers, bypassing the British company, Rolls-Royce plc. Some consumers boycotted GE light bulbs, refrigerators and other products during the 1980s and 1990s. The purpose of the boycott was to protest against GE's role in nuclear weapons production. In 2002, GE acquired the wind power assets of Enron during its bankruptcy proceedings. Enron Wind was the only surviving U.S. manufacturer of large wind turbines at the time, and GE increased engineering and supplies for the Wind Division and doubled the annual sales to $1.2 billion in 2003. It acquired ScanWind in 2009. In 2015, GE Power garnered press attention when a model 9FB gas turbine in Texas was shut down for two months due to the break of a turbine blade. This model uses similar blade technology to GE's newest and most efficient model, the 9HA. After the break, GE developed new protective coatings and heat treatment methods. Gas turbines represent a significant portion of GE Power's revenue, and also represent a significant portion of the power generation fleet of several utility companies in the United States. Chubu Electric of Japan and Électricité de France also had units that were impacted. Initially, GE did not realize the turbine blade issue of the 9FB unit would impact the new 9HA units. GE was one of the eight major computer companies of the 1960s along with IBM, Burroughs, NCR, Control Data Corporation, Honeywell, RCA and UNIVAC. GE had a line of general purpose and special purpose computers, including the GE 200, GE 400, and GE 600 series general purpose computers, the GE 4010, GE 4020, and GE 4060 real-time process control computers, and the DATANET-30 and Datanet 355 message switching computers (DATANET-30 and 355 were also used as front end processors for GE mainframe computers). A Datanet 500 computer was designed, but never sold. GE got into computer manufacturing because in the 1950s they were the largest user of computers outside the United States federal government, aside from being the first business in the world to own a computer. Its major appliance manufacturing plant "Appliance Park" was the first non-governmental site to host one. However, in 1970, GE sold its computer division to Honeywell, exiting the computer manufacturing industry, though it retained its timesharing operations for some years afterwards. GE was a major provider of computer time-sharing services, through General Electric Information Services (GEIS, now GXS), offering online computing services that included GEnie. In 2000 when United Technologies Corp. planned to buy Honeywell, GE made a counter-offer that was approved by Honeywell. On July 3, 2001, the European Union issued a statement that "prohibit the proposed acquisition by General Electric Co. of Honeywell Inc.". The reasons given were it "would create or strengthen dominant positions on several markets and that the remedies proposed by GE were insufficient to resolve the competition concerns resulting from the proposed acquisition of Honeywell." On June 27, 2014, GE partnered with collaborative design company Quirky to announce its connected LED bulb called Link. The Link bulb is designed to communicate with smartphones and tablets using a mobile app called Wink. In 1986, GE reacquired RCA, primarily for the NBC television network (also parent of Telemundo Communications Group). The remainder was sold to various companies, including Bertelsmann (Bertelsmann acquired RCA Records) and Thomson SA, which traces its roots to Thomson-Houston, one of the original components of GE. Also in 1986, Kidder, Peabody & Co., a U.S.-based securities firm, was sold to GE and following heavy losses was sold to PaineWebber in 1994. In 2002, Francisco Partners and Norwest Venture Partners acquired a division of GE called GE Information Systems (GEIS). The new company, named GXS, is based in Gaithersburg, Maryland. GXS is a provider of B2B e-Commerce solutions. GE maintains a minority stake in GXS. Also in 2002, GE Wind Energy was formed when GE bought the wind turbine manufacturing assets of Enron Wind after the Enron scandals. In 2004, GE bought 80% of Universal Pictures from Vivendi. Vivendi bought 20% of NBC forming the company NBCUniversal. GE then owned 80% of NBCUniversal and Vivendi owned 20%. In 2004, GE completed the spin-off of most of its mortgage and life insurance assets into an independent company, Genworth Financial, based in Richmond, Virginia. Genpact formerly known as GE Capital International Services (GECIS) was established by GE in late 1997 as its captive India-based BPO. GE sold 60% stake in Genpact to General Atlantic and Oak Hill Capital Partners in 2005 and hived off Genpact into an independent business. GE is still a major client to Genpact today, for services in customer service, finance, information technology and analytics. In May 2007, GE acquired Smiths Aerospace for $4.8 billion. Also in 2007, GE Oil & Gas acquired Vetco Gray for $1.9 billion, followed by the acquisition of Hydril Pressure & Control in 2008 for $1.1 billion. GE Plastics was sold in 2008 to SABIC (Saudi Arabia Basic Industries Corporation). In May 2008, GE announced it was exploring options for divesting the bulk of its consumer and industrial business. On December 3, 2009, it was announced that NBCUniversal would become a joint venture between GE and cable television operator Comcast. Comcast would hold a controlling interest in the company, while GE would retain a 49% stake and would buy out shares owned by Vivendi. Vivendi would sell its 20% stake in NBCUniversal to GE for US$5.8 billion. Vivendi would sell 7.66% of NBCUniversal to GE for US$2 billion if the GE/Comcast deal was not completed by September 2010 and then sell the remaining 12.34% stake of NBCUniversal to GE for US$3.8 billion when the deal was completed or to the public via an IPO if the deal was not completed. On March 1, 2010, GE announced plans to sell its 20.85% stake in Turkey-based Garanti Bank. In August 2010, GE Healthcare signed a strategic partnership to bring cardiovascular Computed Tomography (CT) technology from start-up Arineta Ltd. of Israel to the hospital market. In October 2010, GE acquired gas engines manufacture Dresser Inc. in a $3 billion deal and also bought a $1.6 billion portfolio of retail credit cards from Citigroup Inc. On October 14, 2010, GE announced the acquisition of data migration & SCADA simulation specialists Opal Software. In December 2010, for the second time that year (after the Dresser acquisition), GE bought the oil sector company British Wellstream Holding Plc., an oil pipe maker, for 800 million pounds ($1.3 billion). In March 2011, GE announced that it had completed the acquisition of privately held Lineage Power Holdings, Inc., from The Gores Group, LLC. In April 2011, GE announced it had completed its purchase of John Wood Plc's Well Support Division for $2.8 billion. In 2011, GE Capital sold its $2 billion Mexican assets to Santander for $162 million and exit the business in Mexico. Santander additionally assumed the portfolio debts of GE Capital in the country. Following this, GE Capital focused in its core business and shed its non-core assets. In June 2012, CEO and President of GE Jeff Immelt said that the company would invest ₹3 billion to accelerate its businesses in Karnataka. In October 2012, GE acquired $7 billion worth of bank deposits from Metlife Inc.
On March 19, 2013, Comcast bought GE's shares in NBCU for $16.7 billion, ending the company's longtime stake in television and film media. In April 2013, GE acquired oilfield pump maker Lufkin Industries for $2.98 billion. In April 2014, it was announced that GE was in talks to acquire the global power division of French engineering group Alstom for a figure of around $13 billion. A rival joint bid was submitted in June 2014 by Siemens and Mitsubishi Heavy Industries (MHI) with Siemens seeking to acquire Alstom's gas turbine business for €3.9 billion, and MHI proposing a joint venture in steam turbines, plus a €3.1 billion cash investment. In June 2014 a formal offer from GE worth $17 billion was agreed by the Alstom board. Part of the transaction involved the French government taking a 20% stake in Alstom to help secure France's energy and transport interests and French jobs. A rival offer from Siemens-Mitsubishi Heavy Industries was rejected. The acquisition was expected to be completed in 2015. In October 2014, GE announced it was considering the sale of its Polish banking business Bank BPH. Later in 2014, General Electric announced plans to open its global operations center in Cincinnati, Ohio. The Global Operations Center opened in October 2016 as home to GE's multifunctional shared services organization. It supports the company's finance/accounting, human resources, information technology, supply chain, legal and commercial operations, and is one of GE's four multifunctional shared services centers worldwide in Pudong, China; Budapest, Hungary; and Monterrey, Mexico. In April 2015, GE announced its intention to sell off its property portfolio, worth $26.5 billion, to Wells Fargo and The Blackstone Group. It was announced in April 2015 that GE would sell most of its finance unit and return around $90 billion to shareholders as the firm looked to trim down on its holdings and rid itself of its image of a "hybrid" company, working in both banking and manufacturing. In August 2015, GE Capital agreed to sell its Healthcare Financial Services business to Capital One for US$9 billion. The transaction involved US$8.5 billion of loans made to a wide array of sectors including senior housing, hospitals, medical offices, outpatient services, pharmaceuticals and medical devices. Also in August 2015, GE Capital agreed to sell GE Capital Bank's on-line deposit platform to Goldman Sachs. Terms of the transaction were not disclosed, but the sale included US$8 billion of on-line deposits and another US$8 billion of brokered certificates of deposit. The sale was part of GE's strategic plan to exit the U.S. banking sector and to free itself from tightening banking regulations. GE also aimed to shed its status as a "systematically important financial institution." In September 2015, GE Capital agreed to sell its transportation-finance unit to Canada's Bank of Montreal. The unit sold had US$8.7 billion (CA$11.5 billion) of assets, 600 employees and 15 offices in the U.S. and Canada. Exact terms of the sale were not disclosed, but the final price would be based on the value of the assets at closing, plus a premium according to the parties. In October 2015, activist investor Nelson Peltz's fund Trian bought a $2.5 billion stake in the company. In January 2016, Haier Group acquired GE's appliance division for $5.4 billion. In October 2016, GE Renewable Energy agreed to pay €1.5 billion to Doughty Hanson & Co for LM Wind Power during 2017. At the end of October 2016, it was announced that GE was under negotiations for a deal valued at about $30 billion to combine GE Oil and Gas with Baker Hughes. The transaction would create a publicly-traded entity controlled by GE. It was announced that GE Oil and Gas would sell off its water treatment business as part of its divestment agreement with Baker Hughes. The deal was cleared by the EU in May 2017, and by the DOJ in June 2017. The merger agreement was approved by shareholders at the end of June 2017. On July 3, 2017, the transaction was completed and Baker Hughes became a GE company. In April 2017, GE announced the name of their $200 million corporate headquarters would be "GE Innovation Point". The groundbreaking ceremony for the 2.5-acre, 800-person campus was held on May 8, 2017, and the completion date is expected to be sometime in mid-2019. In May 2017, GE had signed $15 billion of business deals with Saudi Arabia. Saudi Arabia is one of GE's largest customers. In September 2017, GE announced the sale of its Industrial Solutions Business to ABB. The deal closed on June 30, 2018. As a publicly traded company on the New York Stock Exchange, GE stock was one of the 30 components of the Dow Jones Industrial Average from 1907 to 2018, the longest continuous presence of any company on the index, and during this time the only company which was part of the original Dow Jones Industrial Index created in 1896. On June 26, 2018, the stock was removed from the index and replaced with Walgreens Boots Alliance. In the years leading to its removal, GE was the worst performing stock in the Dow, falling more than 55 percent year on year and more than 25 percent year to date. GE's tax return is the largest return filed in the United States; the 2005 return was approximately 24,000 pages when printed out, and 237 megabytes when submitted electronically. The company also "spends more on U.S. lobbying than any other company." In 2005, GE launched its "Ecomagination" initiative in an attempt to position itself as a "green" company. GE is one of the biggest players in the wind power industry, and is developing environment-friendly products such as hybrid locomotives, desalination and water reuse solutions, and photovoltaic cells. The company "plans to build the largest solar-panel-making factory in the U.S.," and has set goals for its subsidiaries to lower their greenhouse gas emissions. On May 21, 2007, GE announced it would sell its GE Plastics division to petrochemicals manufacturer SABIC for net proceeds of $11.6 billion. The transaction took place on August 31, 2007, and the company name changed to SABIC Innovative Plastics, with Brian Gladden as CEO. In February 2017, GE announced that the company intends to close the gender gap by promising to hire and place 20,000 women in technical roles by 2020. The company is also seeking to have a 50:50 male to female gender representation in all entry-level technical programs. In October 2017, GE announced they would be closing research and development centers in Shanghai, Munich and Rio de Janeiro. The company spent $5 billion on R&D in the last year. As of October 2018[update], John L. Flannery was replaced by H. Lawrence Culp Jr. as Chairman and CEO in a unanimous vote of the GE Board of Directors. John L. Flannery had succeeded Jeffrey Immelt as chief executive officer and chairman of the board of GE. #19 most innovative company (Fast Company). In 2012, GE's brand was valued at $28.8 billion. CEO Jeff Immelt had a set of changes in the presentation of the brand commissioned in 2004, after he took the reins as chairman, to unify the diversified businesses of GE. The changes included a new corporate color palette, small modifications to the GE logo, a new customized font (GE Inspira) and a new slogan, "Imagination at work", composed by David Lucas, to replace the slogan "We Bring Good Things to Life" used since 1979. The standard requires many headlines to be lowercased and adds visual "white space" to documents and advertising. The changes were designed by Wolff Olins and are used on GE's marketing, literature and website. In 2014, a second typeface family was introduced: GE Sans and Serif by Bold Monday created under art direction by Wolff Olins. As of 2016[update], GE had appeared on the Fortune 500 list for 22 years and held the 11th rank. GE was removed from the Dow Jones Industrial Average on June 28, 2018 after the value had dropped below 1% of the index's weight. The former GE Appliances and Lighting segment was dissolved in 2014 when GE's appliance division was sold to Haier for $5.4 billion. GE Lighting (consumer lighting) and the newly-created Current, powered by GE, which deals in commercial LED, solar, EV, and energy storage, are now stand-alone businesses within the company. Through these businesses, GE participates in markets that include the generation, transmission and distribution of electricity (e.g. nuclear, gas and solar), lighting, industrial automation, medical imaging equipment, motors, railway locomotives, aircraft jet engines, and aviation services. Through GE Commercial Finance, GE Consumer Finance, GE Equipment Services, and GE Insurance it offers a range of financial services. It has a presence in over 100 countries. General Imaging manufacturers GE digital cameras. Even though the first wave of conglomerates (such as ITT Corporation, Ling-Temco-Vought, Tenneco, etc.) fell by the wayside by the mid-1980s, in the late 1990s, another wave (consisting of Westinghouse, Tyco, and others) tried and failed to emulate GE's success. 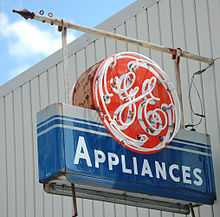 On May 4, 2008, it was announced that GE would auction off its appliances business for an expected sale of $5–8 billion. However, this plan fell through as a result of the recession. As of August 2015[update] GE is planning to set up a silicon carbide chip packaging R&D center in coalition with SUNY Polytechnic Institute in Utica, New York. The project will create 470 jobs with the potential to grow to 820 jobs within 10 years. On September 14, 2015, GE announced the creation of a new unit: GE Digital, which will bring together its software and IT capabilities. The new business unit will be headed by Bill Ruh, who joined GE in 2011 from Cisco Systems and has since worked on GE's software efforts. GE has a history of some of its activities giving rise to large-scale air and water pollution. Based on data from 2000, researchers at the Political Economy Research Institute listed the corporation as the fourth-largest corporate producer of air pollution in the United States, with more than 4.4 million pounds per year (2,000 tons) of toxic chemicals released into the air. GE has also been implicated in the creation of toxic waste. According to EPA documents, only the United States Government, Honeywell, and Chevron Corporation are responsible for producing more Superfund toxic waste sites. In 1983, New York State Attorney General Robert Abrams filed suit in the United States District Court for the Northern District of New York to compel GE to pay for the clean-up of what was claimed to be more than 100,000 tons of chemicals dumped from their plant in Waterford, New York. In 1999, the company agreed to pay a $250 million settlement in connection with claims it polluted the Housatonic River (Pittsfield, Massachusetts) and other sites with polychlorinated biphenyls (PCBs) and other hazardous substances. The nuclear reactors involved in the 2011 crisis at Fukushima I in Japan were GE designs, and the architectural designs were done by Ebasco, formerly owned by GE. Concerns over the design and safety of these reactors were raised as early as 1972, but tsunami danger was not discussed at that time. As of 2014[update], the same model nuclear power reactors designed by GE are operating in the US, such as the controversial Pilgrim Nuclear Generating Station, in Plymouth, Massachusetts. From c. 1932 until 1977, GE polluted the Housatonic River with PCB discharges from its plant at Pittsfield, Massachusetts. EPA designated the Pittsfield plant and several miles of the Housatonic to be a Superfund site in 1997, and ordered GE to remediate the site. Aroclor 1254 and Aroclor 1260, made by Monsanto was the primary contaminant of the pollution. The highest concentrations of PCBs in the Housatonic River are found in Woods Pond in Lenox, Massachusetts, just south of Pittsfield, where they have been measured up to 110 mg/kg in the sediment. About 50% of all the PCBs currently in the river are estimated to be retained in the sediment behind Woods Pond dam. This is estimated to be about 11,000 pounds (5,000 kg) of PCBs. Former filled oxbows are also polluted. Waterfowl and fish who live in and around the river contain significant levels of PCBs and can present health risks if consumed. On June 6, 2011, GE announced that it has licensed solar thermal technology from California-based eSolar for use in power plants that use both solar and natural gas. On May 26, 2011, GE unveiled its EV Solar Carport, a carport that incorporates solar panels on its roof, with electric vehicle charging stations under its cover. In May 2005, GE announced the launch of a program called "Ecomagination", intended, in the words of CEO Jeff Immelt, "to develop tomorrow's solutions such as solar energy, hybrid locomotives, fuel cells, lower-emission aircraft engines, lighter and stronger durable materials, efficient lighting, and water purification technology". The announcement prompted an op-ed piece in The New York Times to observe that, "while General Electric's increased emphasis on clean technology will probably result in improved products and benefit its bottom line, Mr. Immelt's credibility as a spokesman on national environmental policy is fatally flawed because of his company's intransigence in cleaning up its own toxic legacy." GE has said that it will invest $1.4 billion in clean technology research and development in 2008 as part of its Ecomagination initiative. As of October 2008, the scheme had resulted in 70 green products being brought to market, ranging from halogen lamps to biogas engines. In 2007, GE raised the annual revenue target for its Ecomagination initiative from $20 billion in 2010 to $25 billion following positive market response to its new product lines. In 2010, GE continued to raise its investment by adding $10 billion into Ecomagination over the next five years. GE Energy's renewable energy business has expanded greatly, to keep up with growing U.S. and global demand for clean energy. Since entering the renewable energy industry in 2002, GE has invested more than $850 million in renewable energy commercialization. In August 2008 it acquired Kelman Ltd, a Northern Ireland-based company specializing in advanced monitoring and diagnostics technologies for transformers used in renewable energy generation, and announced an expansion of its business in Northern Ireland in May 2010. In 2009, GE's renewable energy initiatives, which include solar power, wind power and GE Jenbacher gas engines using renewable and non-renewable methane-based gases, employ more than 4,900 people globally and have created more than 10,000 supporting jobs. GE Energy and Orion New Zealand Limited (Orion) have announced implementation of the first phase of a GE network management system to help improve power reliability for customers. GE's ENMAC Distribution Management System is the foundation of Orion's initiative. The system of smart grid technologies will significantly improve the network company's ability to manage big network emergencies and help it to restore power faster when outages occur. In June 2018, GE Volunteers, an internal group of GE Employees, along with Malaysian Nature Society transplanted more than 270 plants from the Taman Tugu forest reserve so that they may be replanted in the forest trail which is under construction. Between September 2011 and April 2013, GE ran a content marketing campaign dedicated to telling the stories of "innovators—people who are reshaping the world through act or invention". The initiative included 30 3-minute films from leading documentary film directors (Albert Maysles, Jessica Yu, Leslie Iwerks, Steve James, Alex Gibney, Lixin Fan, Gary Hustwit and others), and a user-generated competition that received over 600 submissions, out of which 20 finalists were chosen. Short Films, Big Ideas was launched at the 2011 Toronto International Film Festival in partnership with cinelan. Stories included breakthroughs in Slingshot (water vapor distillation system), cancer research, energy production, pain management and food access. Each of the 30 films received world premiere screenings at a major international film festival, including the Sundance Film Festival and the Tribeca Film Festival. The winning amateur director film, The Cyborg Foundation, was awarded a US$100,000 prize at the 2013 at Sundance Film Festival. According to GE, the campaign garnered more than 1.5 billion total media impressions, 14 million online views, and was seen in 156 countries. In January 2017, GE signed an estimated $7 million deal with the Boston Celtics to have its corporate logo put on the NBA team's jersey. In the 1950s GE sponsored Ronald Reagan's TV career and launched him on the lecture circuit as a crusader against big government. Although it can be argued that GE frequently supported conservative policies, GE's record with designing social programs, supporting civil rights organizations, and funding minority education programs, speaks to their effort to support philanthropic programs and progressive causes. In the early 1950s Kurt Vonnegut was a writer for GE. A number of his novels and stories (notably Cat's Cradle and Player Piano) refer to the fictional city of Ilium, which appears to be loosely based on Schenectady, New York. The Ilium Works is the setting for the short story "Deer in the Works". In 1981, GE won a Clio award for its :30 Soft White Light Bulbs commercial, We Bring Good Things to Life. The slogan "We Bring Good Things to Life" was created by Phil Dusenberry at the ad agency BBDO. GE was the primary focus of a 1991 short subject Academy Award-winning documentary, Deadly Deception: General Electric, Nuclear Weapons, and Our Environment, that juxtaposed GE's "We Bring Good Things To Life" commercials with the true stories of workers and neighbors whose lives have been affected by the company's activities involving nuclear weapons. In 2013, GE received a National Jefferson Award for Outstanding Service by a Major Corporation. ^ "FORM 10-K" (PDF). General Electric. Retrieved 7 April 2019. ^ "Summary of Operating Segments" (PDF). GE. Retrieved April 12, 2018. ^ Egan, Matt (13 June 2018). "Inside the dismantling of GE". CNN. Archived from the original on 13 June 2018. ^ a b "Fortune 20 most profitable companies: IBM". Fortune. 2011. Retrieved December 17, 2010. ^ "Heritage of Research". General Electric. Retrieved June 1, 2016. ^ "Electricity". A Brief History of Con Edison. Con Edison. Archived from the original on October 30, 2012. Retrieved February 3, 2013. ^ "Edison Companies". The Thomas Edison Papers. Rutgers University. Retrieved February 3, 2013. ^ a b "FAQs: How did the firm impact the advent of electricity?". J.P. Morgan. Retrieved February 3, 2013. ^ "Thomas Edison & GE". GE company web site. Retrieved December 22, 2009. ^ Marshall, Herbert; Southard, Frank; Taylor, Kenneth W. (January 15, 1976). Canadian-American Industry. McGill-Queen's Press – MQUP. p. 72. ISBN 9780773591363. ^ Schaefer, Steve. "The First 12 Dow Components: Where Are They Now?". Forbes. Retrieved January 5, 2018. ^ "History of the Dow – Timeline of Companies". Quasimodos.com. January 4, 1984. Retrieved April 23, 2012. ^ "Nela Park holiday lights, Hower House Museum display and recycle holiday lights: Home and Garden News". cleveland.com. Retrieved March 24, 2017. ^ Mahon, Morgan E. A Flick of the Switch 1930–1950 (Antiques Electronics Supply, 1990), p.86. ^ "Timeline: The History of NBC". NoCable.org. Retrieved March 9, 2018. ^ a b "Ernst Alexanderson". About.com Inventors. ^ Green, John (February 5, 2018). THE STORY OF A SMALL TWIG. Lulu.com. ISBN 9781387571765. ^ Weber, Austin (March 28, 2017). "General Electric Pioneers Jet Engine Manufacturing". Assembly Magazine. BNP Media. Retrieved January 5, 2018. ^ Whittle, Sir Frank; Golley, John (2010). Gunston, Bill, ed. Jet (illustrated ed.). Datum Publishing. pp. 181–182. ISBN 978-1907472008. Retrieved January 26, 2016. ^ a b "GE Completes Enron Wind Acquisition; Launches GE Wind Energy". Business Wire. May 10, 2002. Archived from the original on March 28, 2008. Retrieved August 9, 2010. ^ a b Fairly, Peter. The Greening of GE IEEE Spectrum, July 2005. Retrieved: November 6, 2010. ^ Arnott, Sarah (March 26, 2010). "GE to build £99m UK wind turbine plant". The Independent. UK. Retrieved December 20, 2010. ^ "GE Closes Acquisition of ScanWind". Renewableenergyworld.com. Retrieved March 9, 2018. ^ Scott, Alwyn (January 25, 2019). "GE urges speedy fix for power turbine blades, says blade broke in 2015: sources". www.reuters.com. Retrieved January 25, 2019. ^ a b c d Guston, David H. (July 14, 2010). Encyclopedia of Nanoscience and Society. SAGE Publications. p. 272. ISBN 9781452266176. Retrieved May 5, 2017. ^ "General Electric – Computing History". Computinghistory.org.uk. Retrieved March 9, 2018. ^ Hiner, Jason (November 30, 2012). "GE's $200 million bet to resurrect IT". TechRepublic. Retrieved May 31, 2013. ^ Elliott, Michael (July 8, 2001). "The Anatomy of the GE-Honeywell Disaster". TIME. GE-Honeywell-Disaster. Archived from the original on June 27, 2016. Retrieved June 27, 2016. ^ a b "The Commission prohibits GE's acquisition of Honeywell". EU. July 3, 2001. EU-GE-Honeywell. Archived from the original on June 27, 2016. Retrieved June 27, 2016. ^ "GE Link smart LED bulb can communicate with smart devices". TechOne3. Archived from the original on July 6, 2014. Retrieved July 2, 2014. ^ "Ge To Sell Kidder Unit To Paine". tribunedigital-chicagotribune. Retrieved January 5, 2018. ^ Murphy, Dennis. GE completes Enron Wind acquisition; Launches GE Wind Energy Archived February 18, 2016, at the Wayback Machine Desert Sky Wind Farm, May 10, 2002. Retrieved: May 1, 2010. ^ Murphy, Tara (May 25, 2004). "General Electric Completes Spinoff Of Genworth Financial". Forbes. Retrieved September 5, 2017. ^ Deutsch, Claudia H. (January 16, 2007). "G.E. Buying a British Aerospace Company". The New York Times. ^ "General Electric to acquire Vetco Gray for $1.9 billion". ReliablePlant.com. January 8, 2007. Archived from the original on July 6, 2014. Retrieved June 11, 2014. ^ "GE Oil & Gas buys Vetco Gray". E&P Magazine. January 8, 2007. Retrieved June 11, 2014. ^ Saitto, Serena; Kingsbury, Kevin (January 28, 2008). "From Tenaris". MarketWatch.com – The Wall Street Journal. Retrieved June 11, 2014. ^ "GE Oil & Gas Buys Hydril Pressure Control". January 29, 2008. Archived from the original on July 9, 2014. Retrieved June 11, 2014. ^ Goldman, Davis; Pepitone, Julianne (December 3, 2009). "GE, Comcast announce joint NBC deal". CNNMoney.com. Retrieved December 22, 2009. ^ "Vivendi to Sell its Stake in NBCUniversal for US$5.8 billion". Vivendi SA. December 3, 2009. Archived from the original on December 6, 2009. Retrieved December 22, 2009. ^ "General Electric to sell stake in Garanti Bank". March 1, 2010. Retrieved March 2, 2010. ^ "GE to get its heart tech from Israel". August 1, 2010. Retrieved August 21, 2010. ^ "— GE posts sales slump, rattles recovery hopes". Comcast.net. Archived from the original on October 23, 2010. Retrieved April 23, 2012. ^ "General Electric in Russia". Retrieved April 2, 2014. ^ "GE Acquires Opal Software — Strengthens Smart Grid Software Portfolio". GE. Archived from the original on July 11, 2011. Retrieved October 19, 2010. ^ Business Wire (March 2, 2011). "Businesswire.com". Businesswire.com. Retrieved April 23, 2012. ^ Business Wire (April 26, 2011). "Businesswire.com". Businesswire.com. Retrieved January 15, 2013. ^ "GE Capital sells Mexican assets to Santander". Finance News. Archived from the original on March 19, 2012. Retrieved April 23, 2012. ^ "GE to invest Rs 300 cr for expansion". June 7, 2012. ^ Reuters (September 25, 2012). "GE, MetLife tweak terms of deal for $7 bln in bank deposits". Reuters. ^ Lieberman, David; Lieberman, David (2013-03-19). "Comcast Completes Acquisition Of GE's 49% Stake In NBCUniversal". Deadline. Retrieved 2019-01-17. ^ Ernest Scheyder (April 8, 2013). "GE to buy oil pump maker Lufkin for nearly $3 billion". Reuters. ^ Natalie Huet (April 24, 2014). "GE in talks to buy Alstom's power arm". Reuters. ^ "Alstom board votes for aquisition [sic] by GE". France News.Net. Archived from the original on July 9, 2014. Retrieved June 23, 2014. ^ "GE center, 2,000 jobs slated for downtown Cincinnati". Dayton Daily News. 10 April 2014. Retrieved 13 August 2018. ^ "Having already hired 1,400, GE's new operations center Downtown looks to hire 400 more". WCPO Cincinnati. 19 July 2017. Retrieved 13 August 2018. ^ "General Electric to sell $26.5bn property portfolio". BBC News. ^ "GE to sell bulk of finance unit, return up to $90 billion to investors" (Press release). Reuters. April 11, 2015. ^ "Capital One to Acquire GE Capital's U.S. Healthcare Finance Unit" (Press release). Capital One Financial. August 11, 2015. ^ "Goldman Sachs to Acquire GE Capital Bank's on-line deposit platform". Bloomberg News. August 13, 2015. ^ "BMO News Release BMO Financial to acquire GE Capital's transportation finance business" (Press release). September 10, 2015. Retrieved September 16, 2015. ^ "Nelson Peltz's Trian takes $2.5 billion stake in General Electric". Reuters. October 5, 2015. ^ "China's Haier buying GE appliance unit for $5.4B". USA TODAY. Retrieved January 15, 2016. ^ "GE acquires LM Wind Power". Windpower Monthly. Retrieved October 11, 2016. ^ "GE to Combine Oil and Gas Business With Baker Hughes". The Wall Street Journal. Retrieved October 31, 2016. ^ "EU clears GE's Baker Hughes purchase without conditions". Reuters. ^ "U.S. DoJ Approves Baker Hughes – GE Merger". Subseaworldnews.com. ^ "GE, Baker Hughes complete merger". Oedigital.com. ^ Carlock, Catherine (April 27, 2017). "Why is GE naming its Boston headquarters 'Innovation Point'?". Boston Business Journal. Retrieved April 28, 2017. ^ "GE announces $15 billion of business deals with Saudi Arabia". Reuters. May 20, 2017. ^ "Exclusive: General Electric's power unit faces threat in Saudi Arabia". Reuters. July 19, 2018. ^ "ABB buys GE business for $2.6 billion in bet it can boost margins". Reuters. ^ "ABB completes acquisition of GE Industrial Solutions". New.abb.com. Retrieved 13 July 2018. ^ a b "2006 Annual Report" (PDF). Annualreports.com. ^ "2007 Annual Report" (PDF). Annualreports.com. ^ "2008 Annual Report" (PDF). Annualreports.com. ^ "2009 Annual Report" (PDF). Annualreports.com. ^ "2010 Annual Report" (PDF). Annualreports.com. ^ "2011 Annual Report" (PDF). Annualreports.com. ^ "2012 Annual Report" (PDF). Annualreports.com. ^ "2013 Annual Report" (PDF). Annualreports.com. ^ "2014 Annual Report" (PDF). Annualreports.com. ^ "2015 Annual Report" (PDF). Annualreports.com. ^ "2016 Annual Report" (PDF). Annualreports.com. ^ "2017 Annual Report" (PDF). Annualreports.com. ^ "2018 Annual Report" (PDF). Annualreports.com. ^ "GE Fact Sheet". GE. Retrieved January 25, 2017. ^ "GE Says Goodbye to the Dow". Nasdaq.com. 2018-06-20. Retrieved 2018-06-21. ^ Michelle Fox (June 20, 2018). "Worst isn't over for General Electric, predicts ex-GE transportation CEO". ^ "GE to settle SEC charges of foreign bribery". ^ "US SEC: Form 10-K General Electric Company". U.S. Securities and Exchange Commission. Retrieved June 11, 2018. ^ "Company Search, EDGAR System, Securities and Exchange Commission". header. Retrieved December 21, 2015. ^ "As G.E. fumes over Connecticut tax hike, New York calls - Capital New York". August 12, 2015. Archived from the original on August 12, 2015. Retrieved December 27, 2018. ^ "Boston lands new GE headquarters". Boston Globe. Archived from the original on December 2, 2017. Retrieved January 13, 2016. ^ Mann, Ted; Kamp, Jon (January 13, 2016). "General Electric to Move Headquarters to Boston". The Wall Street Journal. Retrieved January 13, 2016. ^ "GE Moves Headquarters to Boston" (Press release). General Electric. January 13, 2016. Retrieved September 22, 2016. ^ "IRS e-file Moves Forward; Successfully Executes Electronic Filing of Nation's Largest Tax Return" (PDF) (Press release). United States Department of the Treasury—Internal Revenue Service. May 31, 2006. Retrieved December 23, 2018. ^ "GE Launches Ecomagination to Develop Environmental Technologies; Company-Wide Focus on Addressing Pressing Challenges" (Press release). General Electric. May 9, 2005. Archived from the original on January 23, 2012. Retrieved January 15, 2007. ^ Deutsch, Claudia (May 22, 2007). "General Electric to Sell Plastics Division". The New York Times. Retrieved December 25, 2009. ^ O'Reilly, Lara (February 8, 2017). "'What if female scientists were celebrities? ': GE says it will place 20,000 women in technical roles by 2020". Business Insider. Retrieved February 9, 2017. ^ Gryta, Thomas; Lublin, Joann S. (October 18, 2017). "GE's New Chief Makes Cuts, Starting With Old Favorites". The Wall Street Journal. Retrieved October 19, 2017. ^ "H. LAWRENCE CULP, JR. NAMED CHAIRMAN AND CEO OF GE". GE Newsroom. General Electric. October 1, 2018. Retrieved October 1, 2018. ^ "JOHN FLANNERY NAMED CHAIRMAN AND CEO OF GE" (PDF). GE Investor Relations. General Electric. June 12, 2017. Retrieved June 12, 2017. ^ "Fortune 500 2017". Fortune. 2017. Retrieved June 14, 2017. ^ "GE rankings". Ranking the Brands. Archived from the original on June 3, 2011. Retrieved December 17, 2010. ^ "Best Global Brands Ranking for 2010". Interbrand. Archived from the original on February 12, 2011. Retrieved February 15, 2011. ^ Tara Murphy (January 16, 2003). "GE Drops Its Slogan". Forbes. ^ "Bold Monday – independent font foundry of high quality type". Boldmonday.com. ^ "General Electric". Beta.fortune.com. Fortune 500. 2015. Retrieved July 19, 2016. ^ Oyedele, Akin (June 20, 2018). "GE is getting booted from the Dow Jones industrial average". BusinessInsider.com. Retrieved 2 August 2018. ^ "GE Corporate Information". General Electric. Retrieved January 31, 2018. ^ THOMPSON, ASHLEE CLARK. "It's official: GE Appliances belongs to Haier". cnet. ^ "Fact Sheet". General Electric. Retrieved April 21, 2016. ^ "Welcome to Saskrailmuseum.org". Contact Us. September 11, 2008. Archived from the original on October 15, 2008. Retrieved October 3, 2008. ^ "VIDEO – General Imaging's blink detection cameras". TG Daily. February 6, 2008. Archived from the original on June 16, 2012. Retrieved April 23, 2012. ^ "Westinghouse RIP". The Economist. November 27, 1997. Retrieved April 21, 2016. ^ "GE confirms it's exiting appliance business". MSNBC. May 16, 2008. Retrieved December 25, 2009. ^ Wason, Eleanor. "GE's planned spin-off signals failed auction". Reuters. Retrieved April 21, 2016. ^ "GE putting silicon carbide chip packaging R&D center in Utica". timesunion.com. Retrieved August 20, 2015. ^ "GE forms digital unit, says energy management head to retire". Reuters. September 14, 2015. Retrieved October 5, 2015. ^ "Political Economy Research Institute Toxic 100 Corporate Toxics Information Project Technical Notes". Archived from the original on September 2, 2006. Retrieved June 1, 2016. . Retrieved November 9, 2007. ^ "Political Economy Research Institute". September 27, 2007. Archived from the original on September 27, 2007. Retrieved April 23, 2012. ^ "General Electric-designed reactors in Fukushima have 23 sisters in U.S". Openchannel.msnbc.msn.com. Archived from the original on March 20, 2012. Retrieved April 23, 2012. ^ "Nuclear Reactor Maps: Fukushima-Daiichi". Nuctrans.org. Archived from the original on January 15, 2013. Retrieved April 23, 2012. ^ "Fukushima: Mark 1 Nuclear Reactor Design Caused GE Scientist To Quit In Protest". US: ABC. March 15, 2011. Retrieved April 23, 2012. ^ "National Priorities List Fact Sheets: Hudson River PCBs" (PDF). EPA. Archived from the original (PDF) on December 1, 2007. Retrieved December 31, 2007. ^ U.S. Environmental Protection Agency (EPA). Boston, MA. 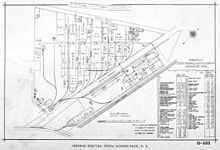 GE/Housatonic River Site in New England: Site History and Description." Archived May 19, 2011, at the Wayback Machine November 12, 2009. ^ "Understanding PCB Risks at the GE-Pittsfield/Housatonic River Site". US EPA. Retrieved September 25, 2015. ^ a b c Gay, Frederick. "Distribution of Polychlorinated Biphenyls in the Housatonic River and Adjacent Aquifer, Massachusetts" (PDF). USGS. Retrieved September 25, 2015. ^ "Former Filled Oxbows of the GE-Pittsfield/Housatonic River Site". US EPA. US Environmental Protection Agency. Retrieved October 1, 2015. ^ "If I Catch It, Can I Eat It? A Guide to Eating Fish Safely – 2015 Connecticut Fish Consumption Advisory Site" (PDF). Connecticut Department of Public Health. Archived from the original (PDF) on September 7, 2015. Retrieved October 28, 2015. ^ "General State-wide Advice for Eating Recreationally Caught Fish and Waterfowl In Massachusetts" (PDF). Mass.gov. MDPH. Retrieved October 28, 2015. ^ "Rest of River of the GE-Pittsfield/Housatonic River Site". Retrieved September 25, 2015. ^ Martin LaMonica, CNET. "GE invests in eSolar for combined solar, gas plants." June 6, 2011. Retrieved June 6, 2011. ^ Candace Lombardi, CNET. "Solar power carport charges cars in Connecticut." May 26, 2011. Retrieved May 26, 2011. ^ "Ecomagination: Inside GE's Power Play". Worldchanging.com. February 22, 1999. Archived from the original on May 19, 2012. Retrieved April 23, 2012. ^ "GE cleantech sales to top $17 billion this year". Businessgreen.com. October 27, 2008. Retrieved April 23, 2012. ^ VentureBeat, Camille Ricketts. "GE Pumps 10B More Into Green Technology R&D." June 24, 2010. ^ "GE Energy Acquires Kelman Limited". Renewableenergyworld.com. August 18, 2008. Retrieved April 23, 2012. ^ "Inside Ireland". Archive.today. July 3, 2012. Archived from the original on July 3, 2012. ^ "GE illustrates broad spectrum of alternative energy projects". Reliableplant.com. Archived from the original on March 11, 2012. Retrieved April 23, 2012. ^ "GE Healthcare-Product Features-Henry Ford Hospital and Wayne State University School of Medicine Partner with GE". Archived from the original on December 2, 2008. Retrieved October 9, 2009. ^ Fera, Rae Ann (April 26, 2013). "GE TELLS THE STORIES OF THE WORLD'S INNOVATORS WITH "FOCUS FORWARD"". Fast Co.Create. ^ Patten, Dominic. "Sundance: 'Cyborg Foundation' Wins Focus Forward Filmmaker Competition". Deadline.com. Retrieved 10 July 2018. ^ Atkinson, Claire (January 26, 2017). "General Electric inks deal to put logo on Boston Celtics jerseys". New York Post. Retrieved January 28, 2017. ^ William Greider (1992) Who Will Tell The People. Simon & Schuster. New York NY. p. 336. ISBN 0-671-68891-X. ^ 1981 – Commercial – GE/General Electric – Soft White Light Bulbs – We bring good things to life. YouTube. July 18, 2010. ^ "Q&A: Phil Dusenberry". AdWeek. Retrieved December 8, 2016. ^ "Deadly Deception: General Electric, Nuclear Weapons, and Our Environment". Newday.com. Retrieved April 23, 2012. ^ "Nuclear Weaponmakers Campaign – Corporate Accountability International – Challenging Abuse, Protecting People – Think Outside the Bottle – challenging the bottled water industry". June 21, 2006. Archived from the original on June 21, 2006. Retrieved April 23, 2012. ^ Jefferson Awards Announces Strategic Alliance with the NFL Player Engagement, Charles Fazzino and IvyConnect, While Celebrating 41 Years of Honoring Service to Others. Prweb.com. Retrieved on August 16, 2013. Irmer, Thomas. Gerard Swope. In Immigrant Entrepreneurship: German-American Business Biographies, 1720 to the Present, vol. 4, edited by Jeffrey Fear. German Historical Institute. This page is based on the Wikipedia article General Electric; it is used under the Creative Commons Attribution-ShareAlike 3.0 Unported License (CC-BY-SA). You may redistribute it, verbatim or modified, providing that you comply with the terms of the CC-BY-SA.